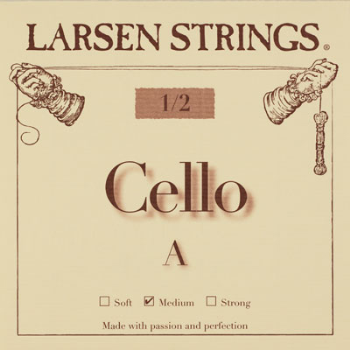 Larsen fractional size string for cello keeps all things in proportion. Their aim was to offer Larsen cello strings for smaller instruments without compromising the Original Larsen sound. Fractional size strings are purpose designed, perfectly proportioned versions of their full size Originals. The same high grade steel cores wound for A and D in stainless steel flat wire, while G and C are based on a concentric multi-stranded steel core wound with high grade tungsten. All supplied bespoke for 3/4, 1/2, 1/4, and 1/8 size cello. © ClassicViolins.com 2015. All Rights Reserved.